This photo hits me right in my 90’s nostalgia feels where I know that nothing will ever be as important as this photo. So much talent, so blonde, so 90’s. Right? In case you didn’t know, Emma and Nick are teaming up for the show Boyband where they are the architects trying to find the next big boyband. I assume they are going to have teams or something like that. Really, there hasn’t been that much told about the show yet, other than it will probably be amazing. I am a little upset that I wasn’t asked to be a part of this show. Obviously I know a lot about boybands and I can definitely give tips, but I guess if anyone is going to put together a band it should be these two. 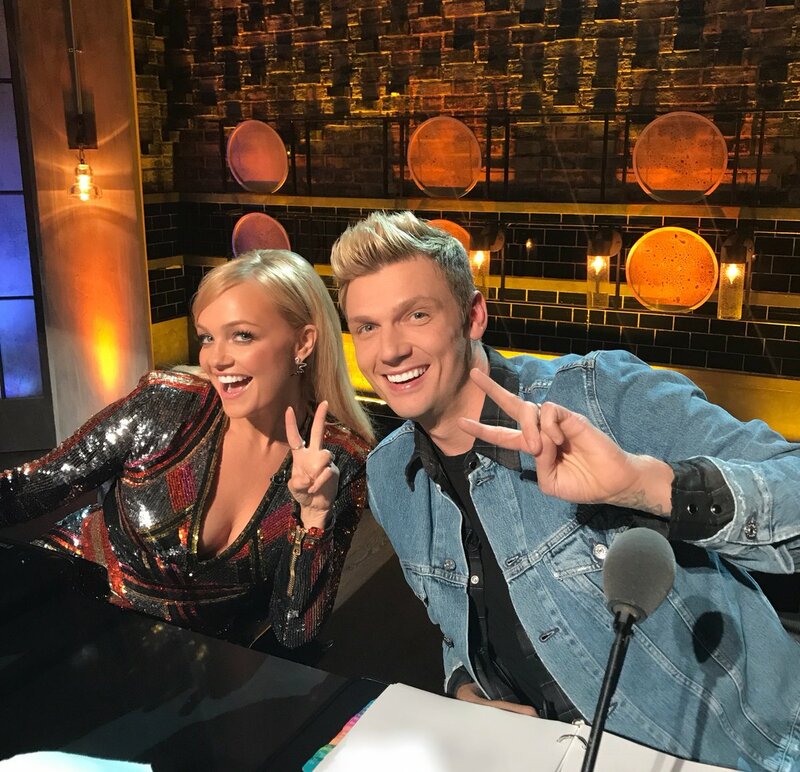 Really though, all this show has to say is that a Backstreet Boy and a Spice Girl are going to be on the show, that’s all they need for a hit show. Is there anything that Ed Sheeran can’t sing? I mean seriously, he can sing covers of anything, he can also rap, the talent is just off the charts with him. He is also so damn likable, another thing I think we as people can agree on. 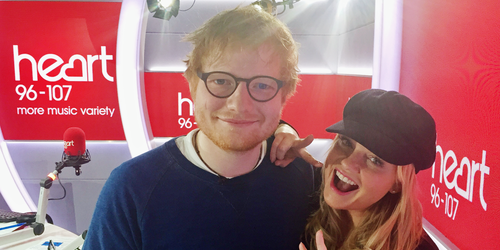 Yesterday he appeared on a radio station in London, which I assume is called Heart London and sang a duet with Emma Bunton. You know Emma, Emma “Baby Spice” Bunton, the one we all wanted to be. Well maybe not everyone, but most people I knew. Without making you wait another second, here are the two of them covering “Goodbye”, and it looks like Ed is bushing which makes it even better. Any time there is any small reunion of the Spice Girls my heart gets a bit happier. The former members rang in New Year’s together and did a small performance for the crowd. Although Posh, I mean Victoria has admitted that she rarely even sang, she did when she was up there with Sporty, I mean Mel C.
Mel was performing a New Year’s Eve show in the Maldives and called Victoria out on stage before they started to sing “2 Become 1”, one of the dirtiest songs I sang at age 7. Of course the crowd went kind of insane when the duet happened and I don’t blame them. Luckily for us a few people captured the impromptu performance. 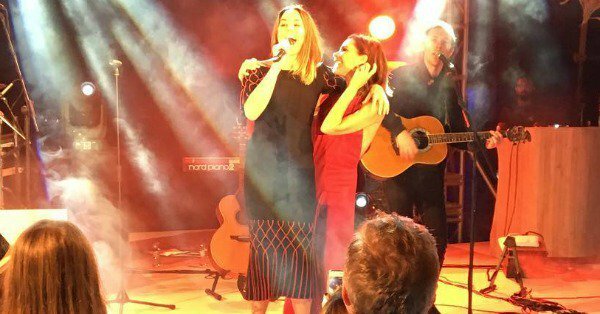 A mini #SpiceGirls reunion on New Year's Eve in the Maldives where Melanie C and Victoria Beckham are singing #2Become1 together!! So far we are two days into 2017, and I don’t hate it yet. Let’s be real, Sporty Spice had the absolute best voice out of the Spice Girls. Sure, Scary and Ginger could sing, but Sporty always brought the vocals! She served them and the other girls tried to keep up. That might be an unpopular opinion but I also don’t care what so ever. Today Mel C released a song called “Dear Life” and I am absolutely obsessed with this song. I mean really, her voice is so damn good. Check out the song, it’s a good one. 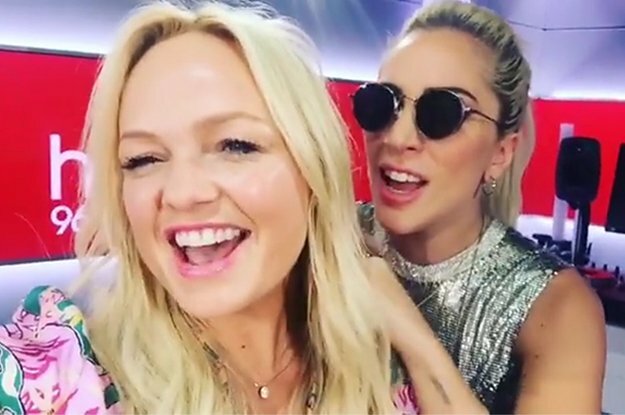 Emma Bunton and Lady Gaga singing together is the most beautiful thing I have ever heard in my life. I am only half exaggerating too! Without me fangirling too much, just click play! It is about 5 seconds of perfection. Gaga Spice has a nice ring to it, right? For the past probably, four years, there have been rumblings about a Backstreet Boys and Spice Girls tour. Then everyone kind of gets upset because it is simply a rumor and they go on with their lives until it is brought up again. We all know that this would be an absolutely monster concert. Tickets would sell out in seconds, maybe break some records, but apparently the Spice Girls were the ones who backed out of the tour, according to the boys. So regardless, there could potentially be a Spice Girls reunion tour for the 20 year anniversary which would be absolutely insane, plus BSB will have new music out soon. No matter what this is a good story! Do you think Spice Girls are going to be pissed that AJ outed them? Probably. TMZ has reported that Victoria Beckham is never ever, ever getting back together with the Spice Girls. Over the past couple of months there have been various reports that the Spice Girls were going to get back together for their 20th reunion tour. Posh’s rep told TMZ exclusively that she has no plans on getting back together with her former girl group. Her rep says Beckham “has been very respectful about the fabulous time they had together in the past, however her focus is now very much her family and fashion business.” No word on what that means for the rest of the girls. Mel B aka Scary Spice said she wouldn’t perform unless everyone’s in, so it seems this is a deal breaker. Now can we all stop posting articles on Facebook saying they are going on tour? Viva Forever Spice Girls, maybe one day we will have you back, probably not, but maybe one day.